நேதாஜி சுபாஷ் சந்திர போஸ் நினைவு தினம். 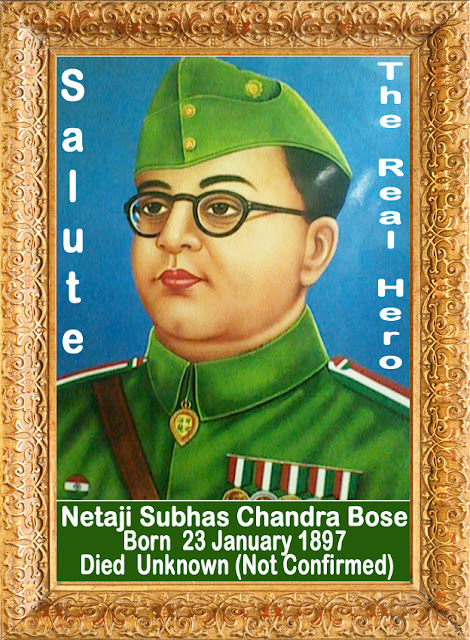 Punch into google search NETAJI SUBHASH CHANDRA BOSE, UNTOLD SECRETS OF RABAUL TUNNELS- VADAKAYIL. Find out the gruesome and terrible secrets of Japanese cannibalism. Find out how the Indian soldiers if INA was systematically eaten up by Japs in a macabre manner. Find out where Netaji Subhash Chandra Bose was hiding all these years. See the video of Bose at Nehru’s funeral, which caused an uproar in Indian parliament and Britain.